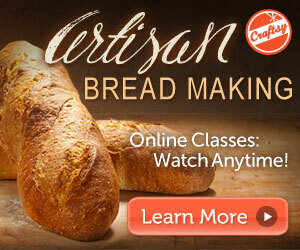 I have today off from work and didn't feel like going anywhere so I decided it'd be a good day to do the next lesson in my Craftsy Artisan Bread Class (affiliate link). Lesson 5 is about the country variation. Country variation is about adding a small amount of whole grain to the flour to alter it's taste and weight. 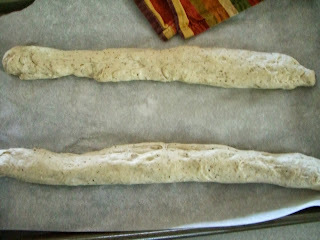 I used a ratio of 10% buckwheat flour to 90% bread flour. You can use whatever type of flour you like, or a mixture I suppose. The rest of the method is the same. I started my bread from scratch rather than using the poolish method this time. So, it took a little longer, but I just folded laundry and did dishes and such during my twenty minute rest periods. The rest of the lesson was about different shaping methods for your dough. In the three previous lessons, Peter Reinhart, the instructor, only talks about the boule, batard, and baguette. 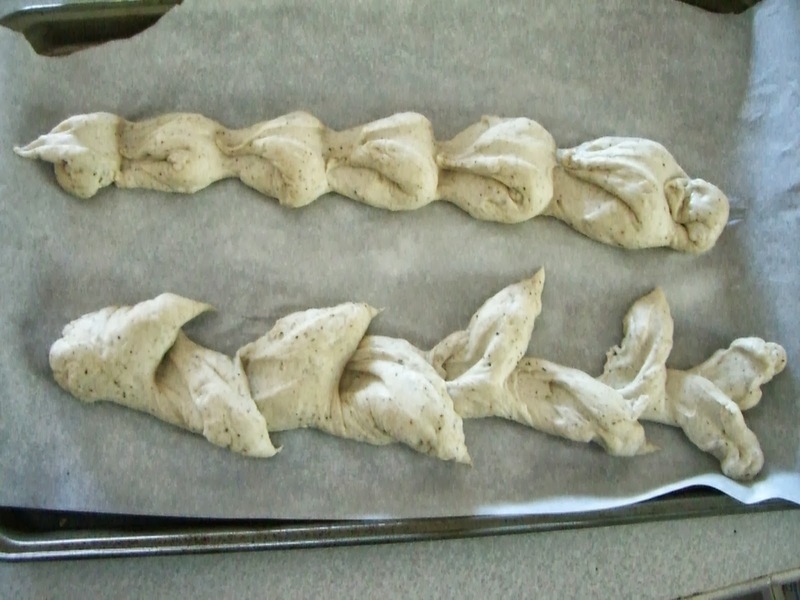 In this lesson, he shows how to make an epi, tabatiere, fougasse, fendu, and pistoulet. Peter recommends focusing on mastering one type and then moving on to another. I decided to focus on the epi, but I also made a fougasse. 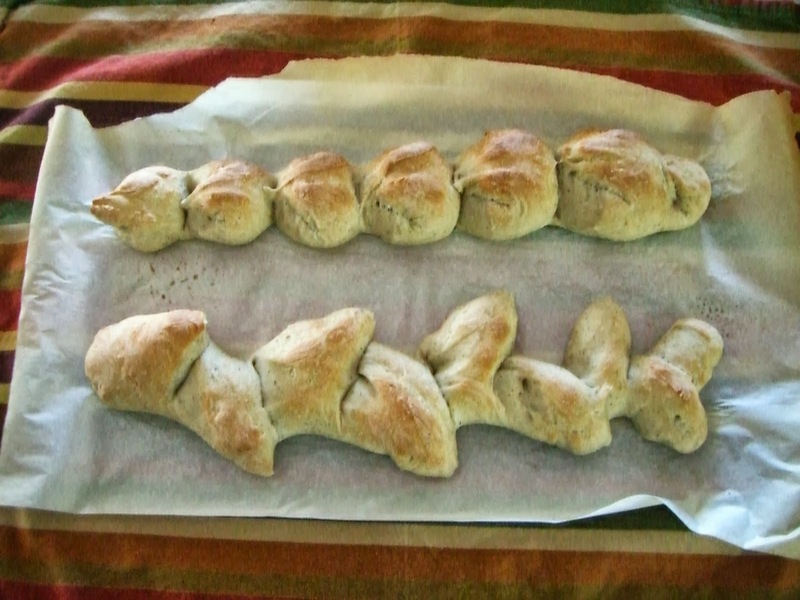 I didn't take any pictures of the fougasse (also called ladder bread) because it didn't look too tasty while I was making it. But, it tastes delicious. I'm kind of sad, I didn't take any pictures. Anyway, there's always next time. On to the epi. Epi is from a French word that describes the head of a stalk of wheat and the bread is supposed to look kind of like a it. 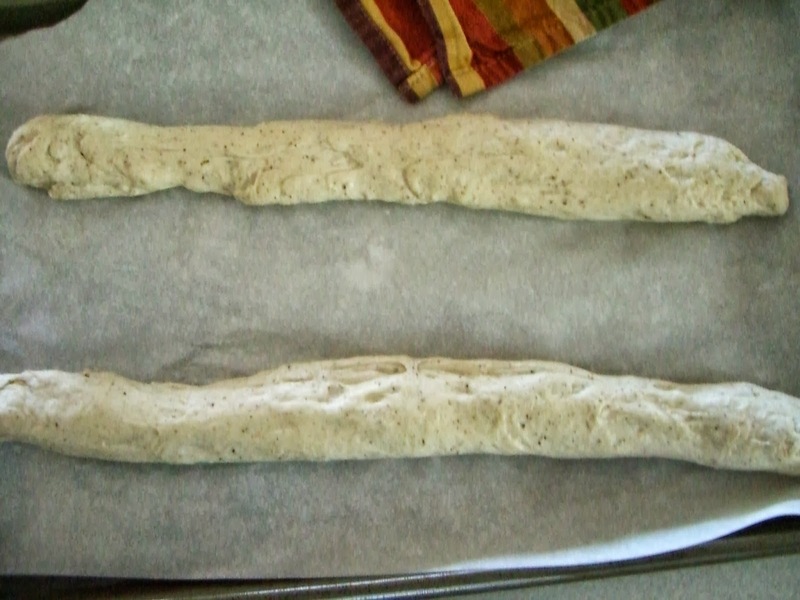 So, you roll out your baguettes like normal. Not very appetizing, but it'll get better. So next, you let the dough rest for about five minutes. Then you shape your into what it will look like before you put it in the oven. To make the shape you use scissors to cut gashes in you bread. You can pull your cut segments to the sides so it looks like a head of wheat or you can flip you segments back to kind of look like little mini rolls. I did one of each. They'll look better. I promise. Then let them rest about an hour and pop them in the oven. Same way as the before but for less time. And then this is what you get. Ta dah! Yummy little pull apart rolls. The end result is pretty tasty. The little bit of buckwheat flour gives it a nice texture and the end result is super moist and delicious. I cannot believe how much better my bread making skills have gotten after only five lessons! I just wish I had a little more willpower to keep me from eating so much of it. Honestly though, who can resist homemade bread? Thanks for sharing it. It’s really nice. I think that we will get great information from your blog in future about it. slearn online.